ACM GOLD LLC, is a new branch operation of ACM GOLD GROUP in UAE, the safe and secure way to purchase and sell Physical Gold and Silver online. One of the most prominent foreign exchange brokerage companies in the field of internet trading, it provides a platform for Online Forex, CDF, Futures and Options Trading, including Physical Gold and Silver trading online. ACM Gold DMCC forms the Dubai trading office for ACM Gold, the South African based forex giant with offices around the world. Trading both physical precious metals and precious metals derived vehicles such as CFDs, ACM Gold offers gold traders a full range of trading options. 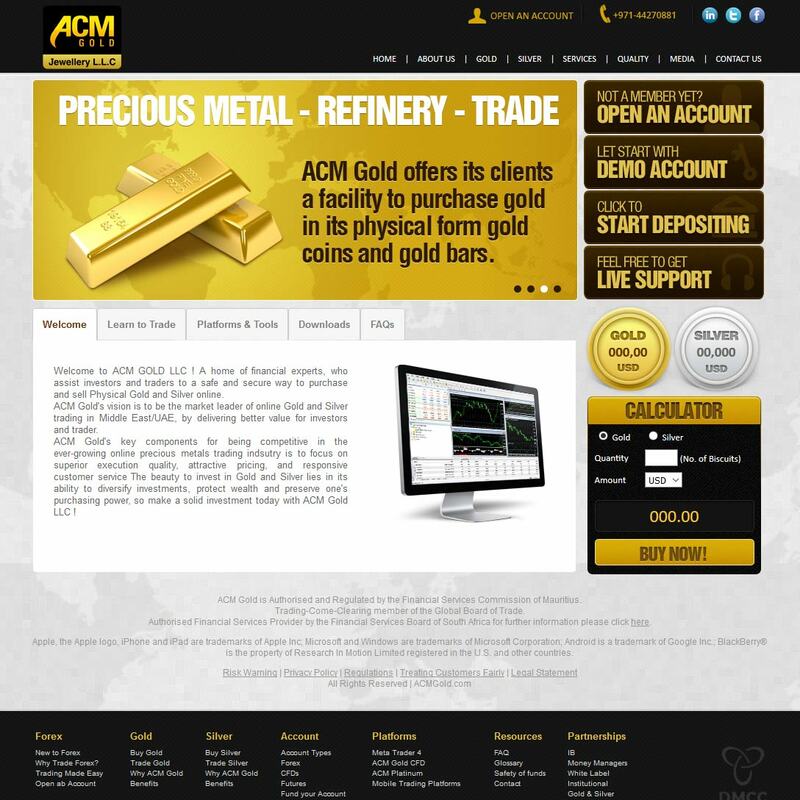 Our ACM Gold reviews are powered by Bullion.Directory - The Metals Investment Portal.